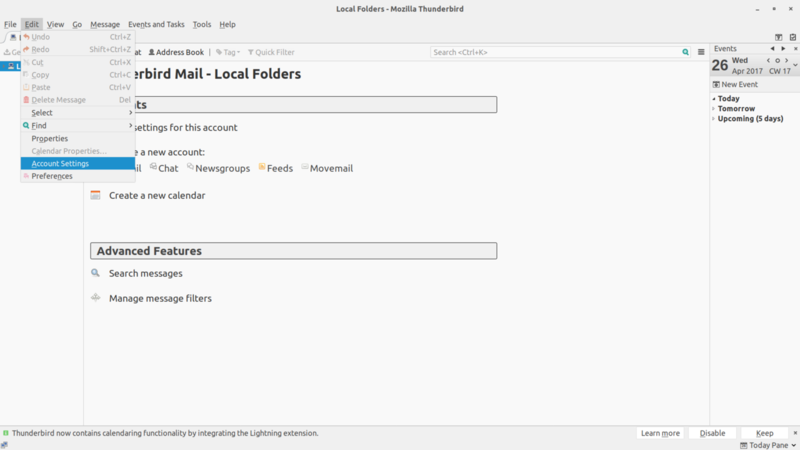 This short tutorial will show you how to configure Thunderbird for use with Lavabit. 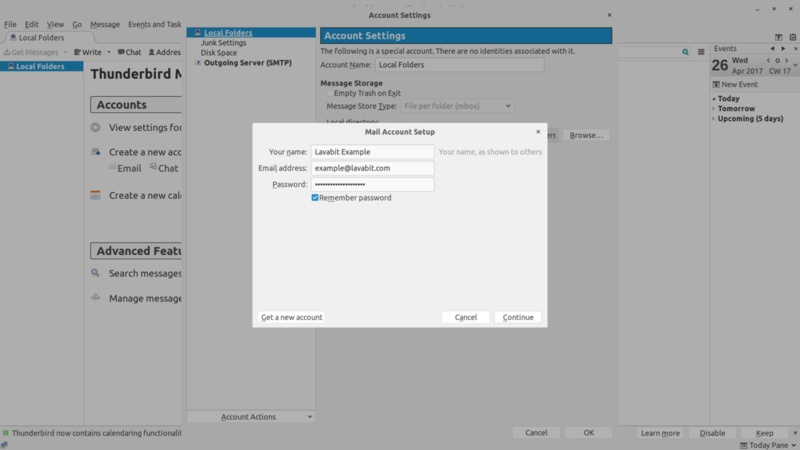 To add a new account to an existing Thunderbird installation, select the Edit > Account Settings option, then select Account Actions > Add Mail Account at the bottom left. If you’re starting Thunderbird for the first time, it will automatically display the new account setup prompt. Enter your Lavabit email address and password in the Email address and Password fields, then click Continue. After Thunderbird searches for settings, the prompt will expand to show more options. Choose between POP3 or IMAP, select either STARTTLS or SSL or security (they both offer the same level), and let Thunderbird choose the port for you. Finally, click Re-test and then Done. After Thunderbird syncs with the mail server, you should see a message from the Lavabit Support Team in your Inbox. You can also try sending an e-mail to make sure your outgoing mail works as well.